The intention of a film trailer is to get the audience excited for the full-length film, capturing the most cinematic, breathtaking moments the movie has to offer. This trailer does that and more! It opens with a man atop a mountain peak as he’s about to ski down the summit, and the stunning drone footage just keeps getting better from there. Showcasing thrill-seekers who are climbing up the sides of mountains, traveling through the desolate arctic, across a high-line over a gorge, and more the full-length film is sure to be incredible. Description: Official Trailer 2019 of Actiontalk.tv. 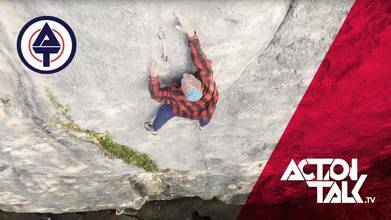 New upcoming webisode on outdoors – Secret spots, people, gear in mountaineering, climbing, skiing. Check it out!